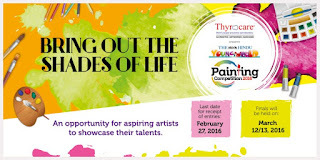 The Hindu Young World in association with Thyrocare is organising a painting competition for school students. * To get your painting certified by your Principal or Art Teacher as your own original work and send it to the nearest The Hindu Office (Given below). * For every additional entry, a fee of Rs.100/- to be paid at Hindu Offices either by cheque or cash. Selected students will be intimated individually through email. Students should come to the centre with the intimation letter at their on cost on the date specified. Finals will be held in March. Topics for the finals will be given at the venue. 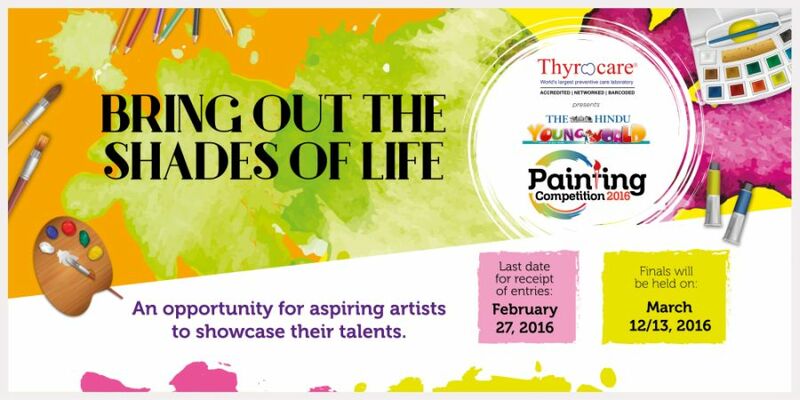 All finalists will get certificates. Prizes will be distributed the same day to the winners.